It’s not uncommon for two peppers of the same species to vary in heat level; the flavor profile is another matter. “Gee, these two things taste different.” Well, that’s because they aren’t the same thing. Lemons and oranges aren’t the same fruit although they share some similarities. Why? Because they’re two different species. I know this from a little class I passed in high school called, “Biology 101.” The same holds true for peppers. Jalapenos and habaneros “don’t have the same heat level or flavor profile” and even mainstream America knows that they’re not nearly the same thing. If it’s its own species or family, then what are the biological traits that define and separate it from other species of chile pepper? Dave DeWitt is the most published authority on chile peppers in America, if not the world, and if he found no evidence of any such profile in his lengthy research on the subject, then does it exist? So if no one has any biological proof that “Hatch chile peppers” are biologically distinct from others grown in the area, then in that regard, the “Hatch chile” has more in common with skeezy pirate code than actual hard-and-fast biology. If there’s no officially recognized Hatch Valley or biologically recognized pepper, then what’s left other than a marketing idea? 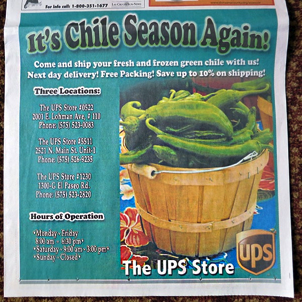 Is “Hatch chile” a generic marketing term for various New Mexico chile varieties that have been developed by NMSU? Given the amount of work Dave’s put in with NMSU on the subject of chiles over the decades, I’m inclined to believe that it is. Plus “Hatch chile” rolls off the tongue much easier than “New Mexico chile pepper,” even though the latter may be a much more accurate description for the family of peppers the Hatch claims to encompass. So who came up with the term? That would be The Hatch Chile Association, which was conjured up by a group of six farms and their farmers in southern New Mexico in what is officially known as the Rincon Valley. 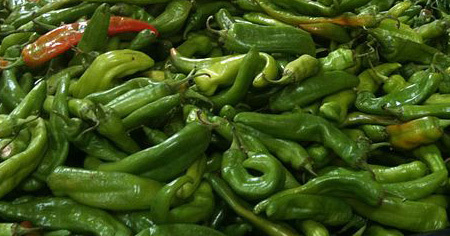 The Hatch Chile Association has applied to the United States Patent and Trademark Office for a certification mark, “Hatch,” for use on unprocessed chile peppers. 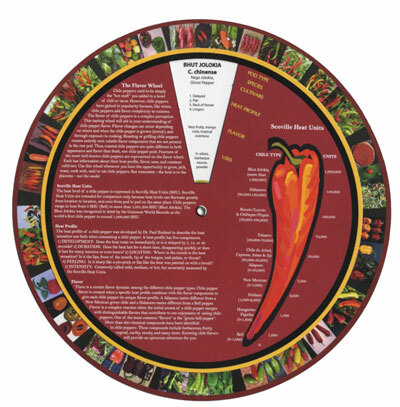 The certification mark, “Hatch,” would apply only to farms/farmers that are located in what the applicants call the “Hatch Valley.” So if you’re right across the street from that arbitrarily designated area, growing the same species, in the same dirt and climate, buying your gardening supplies from the same store, you technically wouldn’t have “Hatch chile peppers” because of a property line. Hatch is actually a little town named after an army colonel from the Old West, not a valley. At least, according to a little thing called The U.S. Geological Survey. 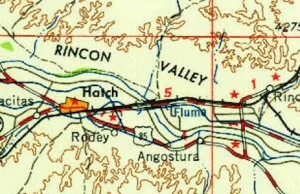 They mark it as being in the Rincon Valley. 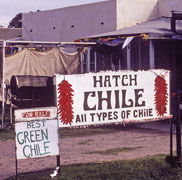 Three decades back, the town started the Hatch Chile Festival, then in `95 the Hatch Chile Company started selling enchilada sauce under the “Hatch Chile Co.” trademark, which is probably what gave the farms the idea to team up and assign a brand to the unprocessed chile peppers. On the surface, all of this sounds like we’re splitting hairs, but if you think about how powerful trademarking a marketing term can be, the whole “Hatch chile pepper” myth turns into something more significant. If I build up a marketing term that covers a lot of a crop grown in a state, associate it with one small part of the land it grows on, then own the trademark on the term, no one else growing that exact same product in the exact same state outside of my little marketing kingdom gets to use the term, at least without my permission, if I’m feeling like a merciful monarch. 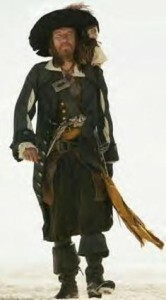 And if I’m not, I’ll smoteth them in yonder court with ye olde legal teame. Although I can’t read minds and say the association would do any of that, restricting the use of the term to growers in the imaginary Hatch Valley, certainly gives them a leg up on any competitors in other parts of Doña Ana County and in adjoining Luna and Sierra Counties.